Have you ever noticed how many (or how few) people are smiling around you? Or how often YOU smile through the course of a day? When I ask people what they think, they have a tendency to over estimate. The number of people smiling at any given time is actually very low. 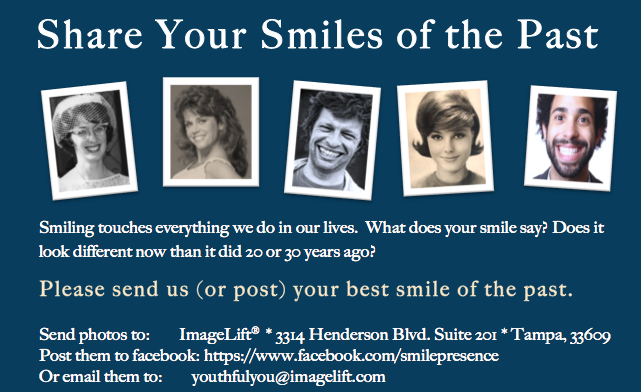 Sometimes I play the ‘Smiling Game’ and count how many smiling faces I see in a specific period of time. One time I played this game with my kids while going to the bakery one sunny Sunday morning. Can you believe in a 20 minute walk on a bustling pedestrian pathway, in a picturesque neighborhood in Florida, only one person was smiling?? Why is this? Are all these people unhappy? I have counted smiles in parks, shopping malls, theatres, restaurants, airports, theme parks…indoors and outdoors. Out of 100, the most common number I get is 3!! The highest I got was 10, and that was in a restaurant when people were really yucking it up (was it the wine?). 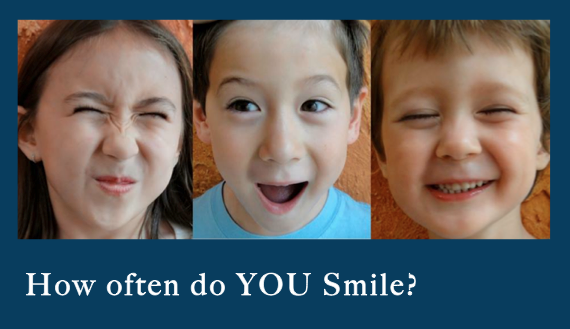 A survey of 2,000 people showed that adults smile on average 7 times per day – are you kidding me?! Bottom line – people don’t tend to look that happy, even though we live in a world of abundance. When you are walking around other people, put a smile on your face and leave it there. Do people respond differently to you? Now, walk around with a flat face. Do you notice any difference in those that pass by? With rare exception, people do treat you differently based on your facial expressions. Smile As If Your Life Depends On It, BECAUSE IT DOES! Research has shown that smiling (and humor) stimulate the reward centers in our brain, among many other positive benefits. We can absolutely choose freedom and happiness by consciously and intentionally using our facial appearance. When we focus on helping ourselves and others to smile more, we increase our quality of life and productivity. There is a tremendous dearth of smiling and happiness in this world, and every smile counts (particularly when compared to a scowl or a flat face!) Everything in life is made up of relationships, and one of the most valuable things in any relationship is a how we use our face and create smiles.